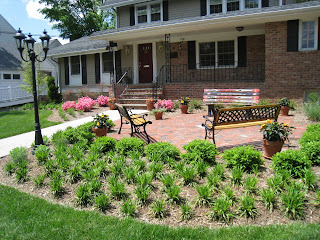 This property has been relandscaped with beautiful plantings surrounding a brick patio with unique park benches to expand Gersch Orthodontic's waiting room to the outdoors! When a patient comes with a friend or a parent, they feel comfortable in this colorful, uplifting setting where different colors of floral displays and ground coverings continuously bloom. 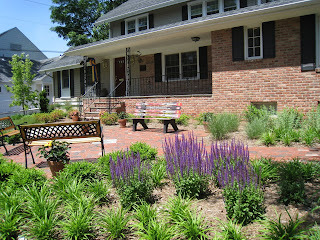 It has beautified East Broad Street and the walk into town!